A lot is wrong with the manner in which many asset managers determine the risk profile of their clients. The risks a person is willing to take, or the risk appetite, depends on much more than the stock market climate, knowledge and experience. 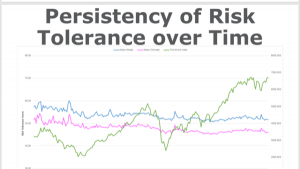 The risk appetite does not change as a person gets older, the stock market climate improves, or when someone becomes more experienced in investing. More attention must be paid to determining the risk profile based on risk capacity, risk appetite and the necessary risk. This is the only way to establish a long-term and valuable client relationship. This was, in a nutshell, the message Paul Resnik tried to convey at the risk appetite master class of 12 February at ARTIS. Paul Resnik is a global authority on risk appetite. He has developed a psychological risk appetite test with his company FinaMetrica to determine the risk appetite of clients. Goldmann Sachs and DBS BlackRock are among some of the users of this FinaMetrica risk appetite test. In practice, questions and scenario analyses that are not well formulated are used to determine the risk appetite. These scenario analyses are difficult to understand, which results in the risk that people attempt to guess the answers to the questions. One consequence of this guesswork is that people fail to consider what the question really means for the downward risk of their capital. This may result in a (much) greater risk appetite than the participants actually have. Another common mistake is a lack of distinction between the risk appetite of partners, states Resnik. Both partners are asked to complete a psychological risk appetite test. The risk appetite can differ enormously between partners. A study among millions of people showed that women have a significantly lower risk appetite than men. Inconsistencies between the responses of the two partners often also fail to be addressed. This means that one of the partners does not feel comfortable with the way their capital is being invested. This increases the chance that clients are dissatisfied with and lose trust in their asset manager. Trust is one of the most important factors for a long-term client relationship. The risk capacity: what risk can a client face with his or her capital? The risk appetite: what risk is the client willing to accept? The SCOPE KYC Cloud portal incorporates all aspects of determining a risk profile. The FinaMetrica test determines the risk appetite. Certain risk profiles can be turned off based on the results. The EPI engine carries out a Monte Carlo simulation to calculate the returns of investments in different stock market scenarios. This Monte Carlo simulation is carried out using parameters entered by the asset manager himself. The client is shown clear graphics that indicate whether the capital objective can be achieved based on the risk appetite and capacity. 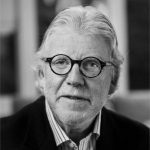 “Sincerely putting effort into drawing up a correct risk profile for your clients not only ensures that they are satisfied, but also that you can sleep peacefully at night.” This is how Resnik concluded his story in the ARTIS Constellation Hall. Do you want to learn more about the SCOPE KYC Cloud solution or the integration with FinaMetrica? Contact Bas van der Veer at 023-5179200 or b.vanderveer@scope.nl. 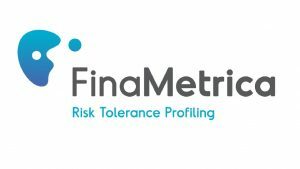 For more information about FinaMetrica, visit www.riskprofiling.com.